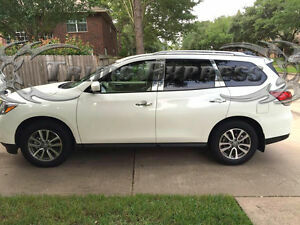 Fit for: 2013-2019 Nissan Pathfinder. Premium quality stainless steel with polish surface. Be careful: Our trims can not be re-applied after your initial installation. Peeling off the trims will result in wrinkles on products and you will then have to buy a new piece. Good product. Looks good on vehicle. Easy installation. Fast shipping.